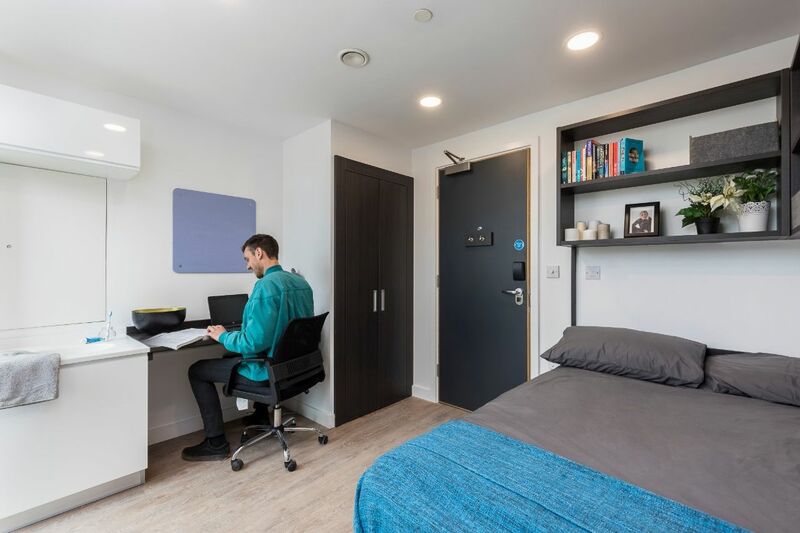 It’s a seven-minute walk to Vauxhall tube station from your student accommodation at Urbanest Vauxhall, so it’s easy to get around. Cross the river to catch an exhibition at Tate Modern or visit Buckingham Palace. It’s a 10-minute tube ride to Oxford Street, which is home to the city’s most famous stores — and a short walk from Soho’s cafés and bars. On sunny afternoons head to the Southbank to enjoy dinner and drinks beside the Thames. 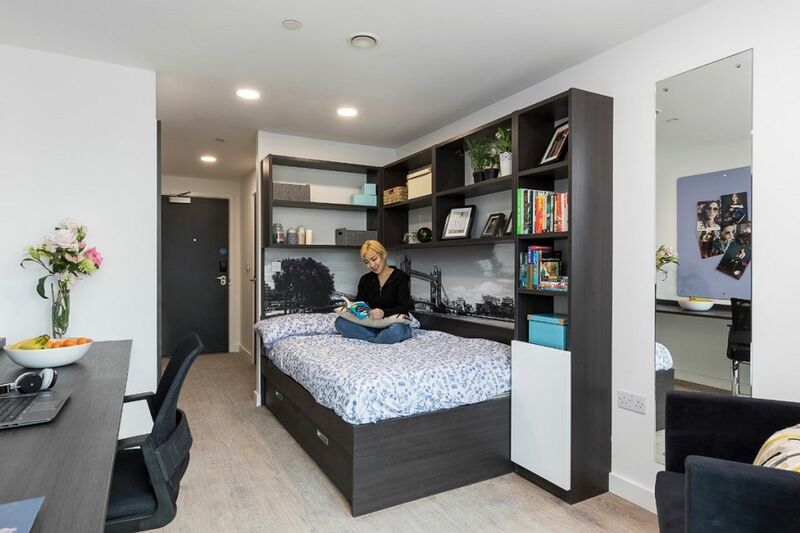 The central location of your student accommodation in London makes it easy to get to lectures at the city’s universities. Travel to King’s College, South Bank University and University College London within 30 minutes, or walk to Chelsea College of Art in around 20 minutes. If you’re in a hurry, borrow a fold-up bicycle from the storage area to get there even faster. Take your pick from a range of ensuite rooms, private rooms with personal kitchens and bathrooms, or studio apartments. 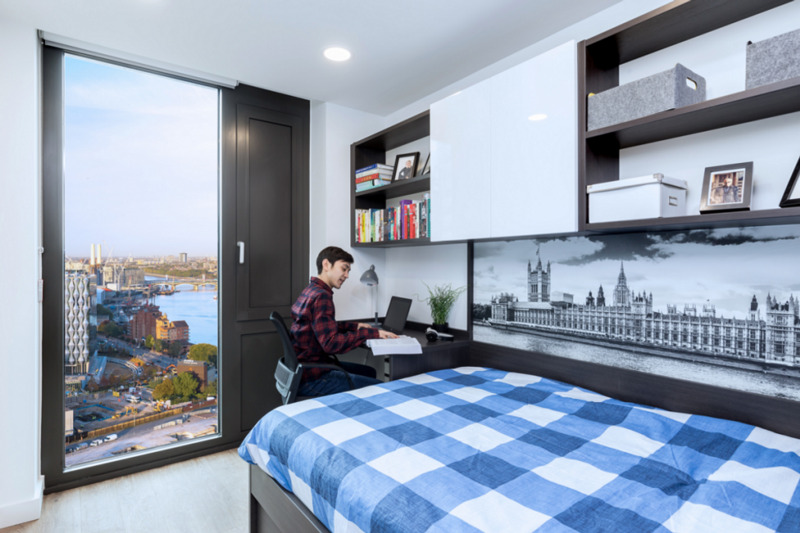 You’ll also have access to communal spaces, including study areas and the 31st floor ‘common room in the clouds’, which offers stunning views across London. There’s Wi-Fi throughout the building, and there’s underfloor heating to keep you warm in the winter. You’re guaranteed a good night’s sleep on your comfortable memory foam mattress, and there’s CCTV and secure entry for your peace of mind. Book Now and Save!Book Now for 12 weeks and get One Week Cashback on Check-in! We couldn't find a room that matches your preferencesView all Private Room in Urbanest Vauxhall. We couldn't find a room that matches your preferencesView all Entire Place in Urbanest Vauxhall.